I made some progress on my stitch/design/ colour sampler today. 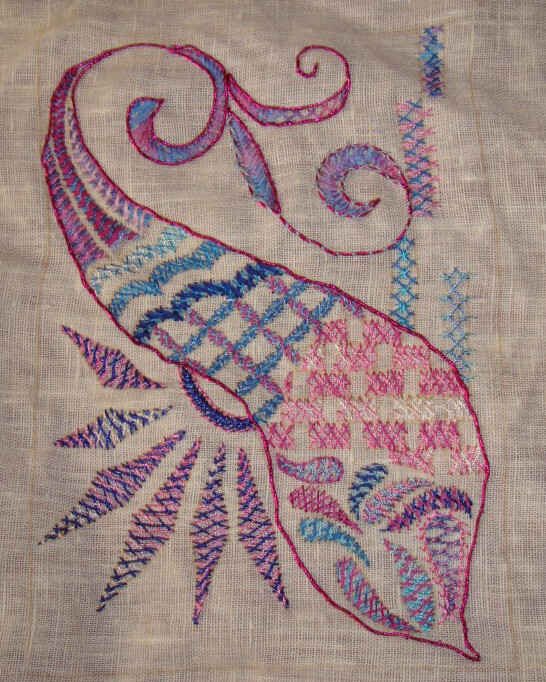 This filling was first worked in perle cotton #5. Stranded cotton threads were used for working the second row of herringbone stitches. The next filling pattern with the first row of herringbone stitches worked with polyester thread. Perle cotton #8 in medium blue was used for the second row of [horizontal] herringbone stitches. 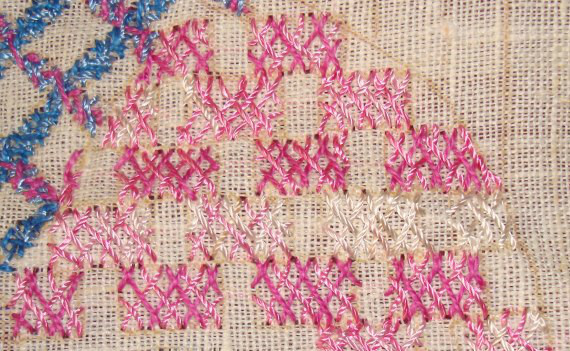 Perle cotton #8 in medium pink was used for the second row of [vertical] herringbone stitches. One more space within the contemporary paisley requires filling. 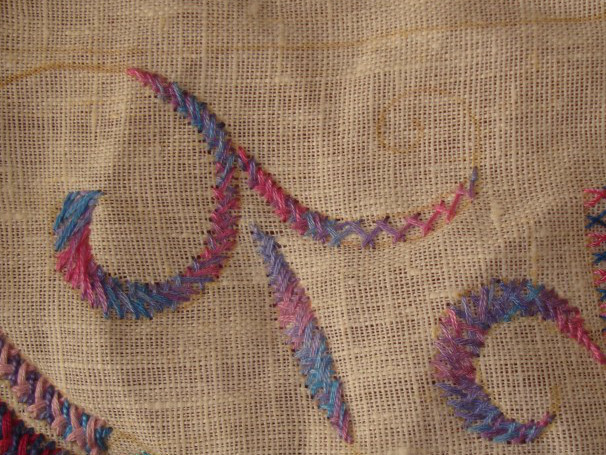 Short lines around the paisley also need to be worked with this stitch, which I have to take care tomorrow. I feel the paisley needs a definite outline, may be couching will help there. Hoping to complete this sampler by tomorrow. 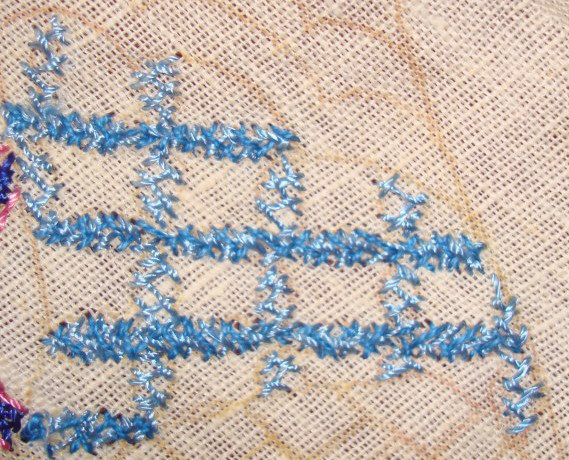 This stitch is also referred as Indian herringbone stitch. 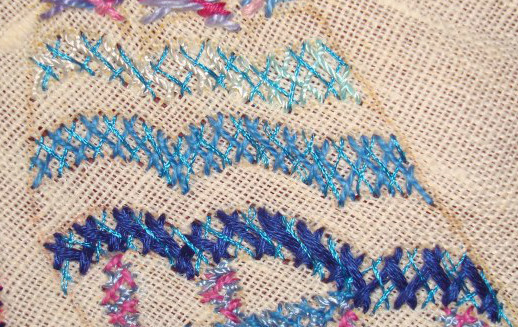 The working of this stitch is on Pintangle. 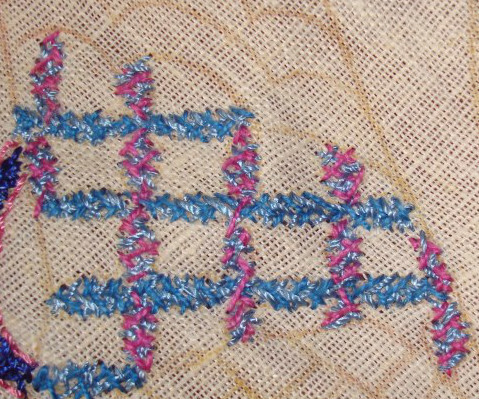 I use this stitch with a slight variation to work kutchwork. 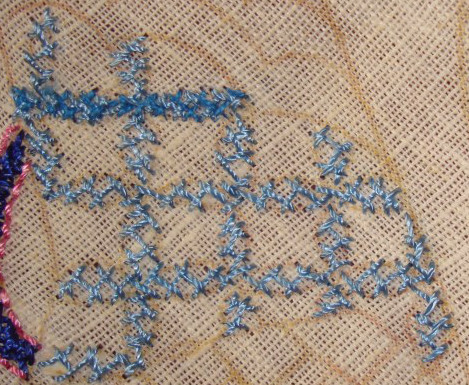 Though this is linear stitch I want try this stitch on filling some shapes on my sampler. Starting with filling some diamond shapes. 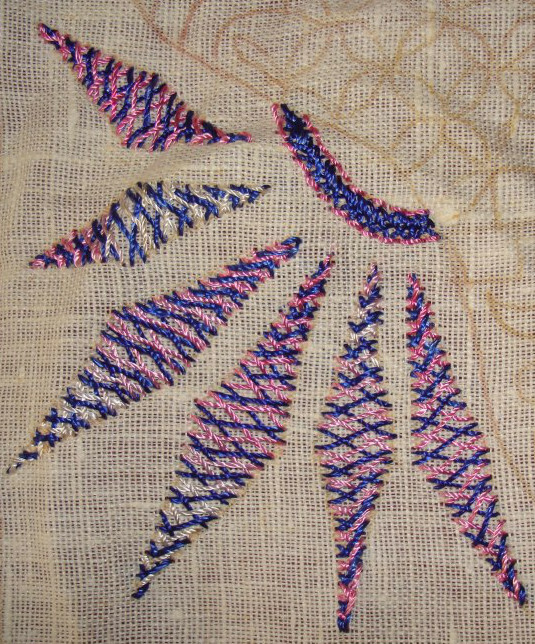 The basic herringbone is worked in dark blue polyester thread, and the stitch over it is worked with shaded pink polyester thread. 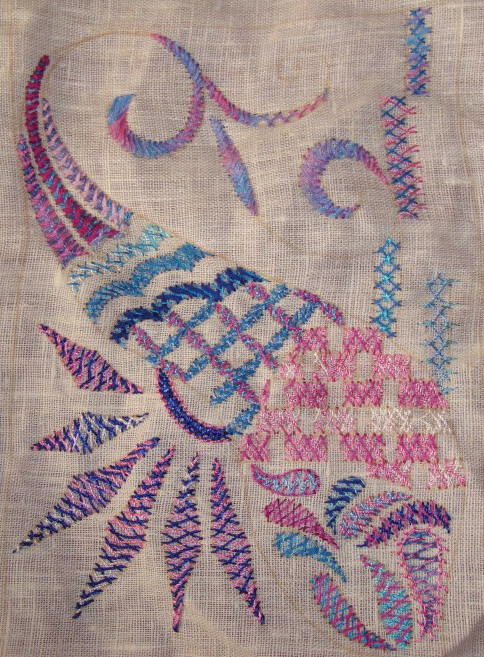 The double herringbone on the curve is worked with blue thread with back stitch outline in pink.